A heads up if you have plans at the beach this week; red tide has returned to parts of Florida's coast. New tests by Florida Fish and Wildlife have detected low to medium levels along the Charlotte County coastline. 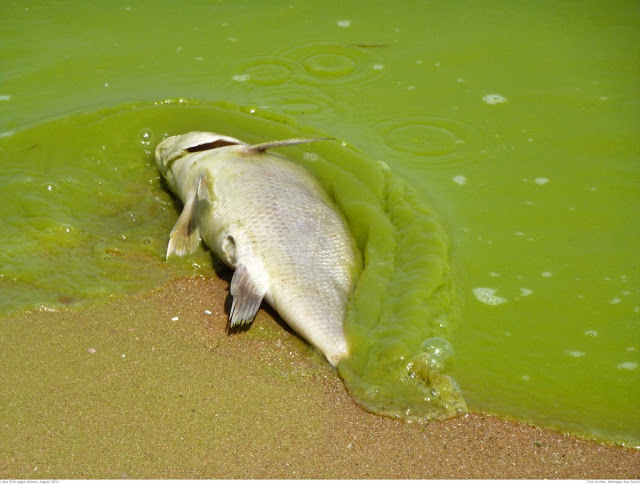 Algae blooms has plagued Florida off and on for years. It's known to cause fish kills and breathing problems for people who are at the beach when red tide is present. It will cause problems for your pets and has been known to kill dogs. The blue-green algae is the latest contaminant featured in yearslong arguments over water flowing from Lake Okeechobee, which is critical to South Florida's water supply and flood control systems. Florida Governor Rick Scott declared a state of emergency as blooms of toxic algae plagued beaches along the state's Atlantic coast. 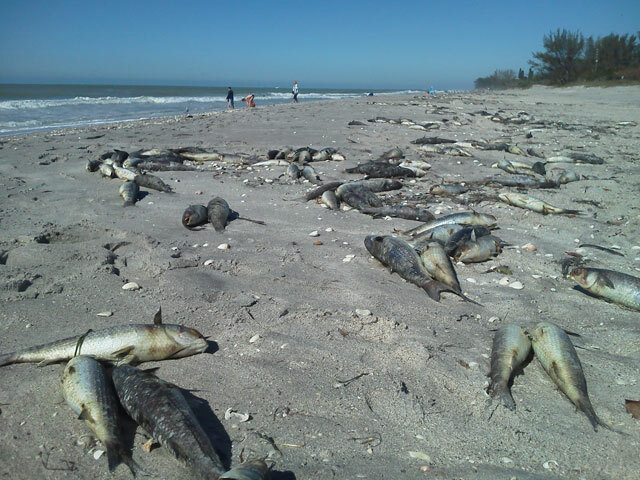 Photo MySuncoast.comIn January this year thousands of dead fish once again washed up along the Suncoast beaches Florida! The red tide caused respiratory irritation to beach gowers. Suncoast area beaches had been inundated with dead fish washing ashore. It is a microscopic algae bloom basically that causes the water to turn red. It's like basically taking the oxygen away from the fish. "Volunteers reported what they saw and have noticed thousands of dead fish dead fish as well as respiratory irritation which could be coughing or sneezing. 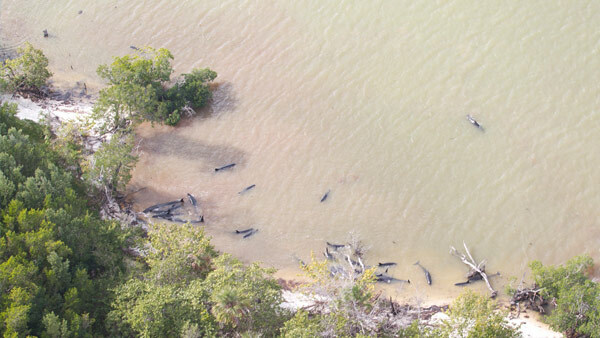 Then on the Monday afternoon, A NOAA Fish Southeast expert tweeted that 81 whales had died and also said the whales were at a remote location off of Hog Key in the Everglades. Red or green algae was not mentioned as the cause of death however, just a couple of weeks later thousands of bees were washed ashore in the same area.